MOSCOW, November 8. /TASS/. 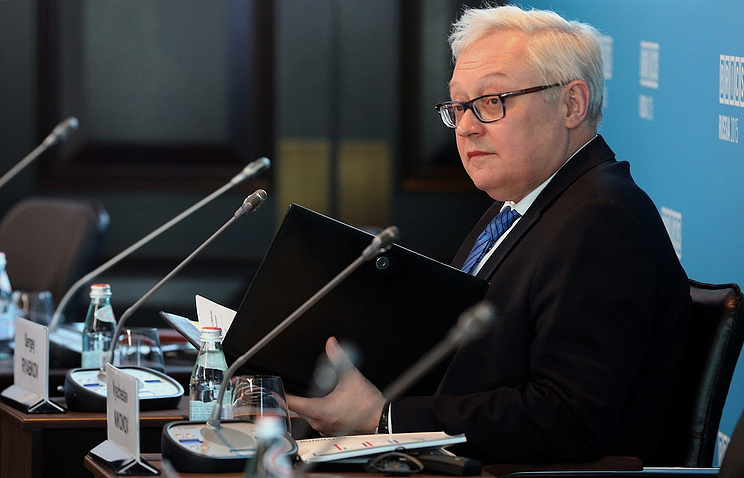 Washington’s accusations of Russian aviation’s “irresponsible” behavior above the Black Sea are nothing more than politically-motivated speculations, Russian Deputy Foreign Minister Sergei Ryabkov told TASS on Thursday. “This foul play is evident for us, and we will keep exposing it. We call on the United States to scale back its ambitions and abstain from actions that do not really benefit security at the regional and even global level,” the Russian diplomat added. “We have to take care about our own security and, ultimately, US military commanders and political leaders are playing with fire when they order provocative actions to be carried out in the immediate vicinity of the Russian border. We, on our part, do nothing of this kind with regard to the United States,” Ryabkov said.